Inspired by the Silk’s Road rich history and cultural diversity, Phoenix proudly presents The Great Silk Road Monday through Friday evening in prime time to showcase the greatness of the ancient route in different dimensions, the folk gems of human history, the spectacular creation of cultural interaction – all of which embodied the spirit of the time and the place. Legends, adventures, historical architecture, geographical landmark, colourful produce, folk music, musical instruments, murals, herbs, jade, amber, animals, spices, they are bound to be an eye-opening window, while at the same time the programme examines “One Belt One Road”, the future of China trade development in 21st century. The programme before closing incorporates the daily news and events of the latest happenings of Central and Western Asia. Hailing from Xi'an, Angela Liu Rui graduated from the Communication University of China and attained her master’s degree after studying at King’s College London. She is currently pursuing a doctorate in film studies at the Northwest University. Her hobbies include jogging, reading, writing and playing the flute. As China economy has thrived in full speed in last three decades, China’s medium cities are charging ahead at the same pace. It is estimated that the number of cities will be exceeding 1000 before the year 2020, the momentum of urbanism has swept away the ancient beauty of China. Having its own characteristics and glamour, every small city is an open book ready for your review, from the picturesque scenery, cultural legacy to sumptuous cuisine, vibrant festival, abundant natural resources, they all have their unique stories to tell. The serene cities are tranquil, pure and full of charm, they are the essence and inspiration of China. My Beautiful Homeland sets to showcase the dynamic and original China’s cities in high quality footage, featuring the less-visited landscapes, places of interest, historical heritage, unique handicrafts, locally-made produce as well as their achievements in industry and business. The programme employs new aerial-shooting to highlight the breathtaking view whereas local festivities would be featured as specials to reveal the long-forgotten nature. That is an ideal platform to promote their city outlook, attracts tourism and invites more fruitful investment. China is full of fascinating nature, catch them on Phoenix! The Days We’ve Been Through offers personal portraits of contemporary elite that inherit the grand Chinese heritage. The programme traces out the warp and weft of China’s modern history. It tells the stories of those who have experienced momentous social changes in the past century to become the national pillars of today, unveiling the real people behind their illustrious names in such diverse fields as politics, military, commerce and culture. Besides keeping up to date on the projects our featured notables are currently undertaking, the programme also explores their personal journeys. Their ups and downs are reflected in what may be a treasured memento, a teenage diary, memory of a remarkable person, a controversial act or a round of stinging criticism, all being brought forward for the audience to share in this memorable programme. In each gem of an episode, famous friends of the featured celebrity are invited to light up a lesser-known perspective of the prominent personality. The result is a full portrait of an all-round character that encapsulates the grand narrative of our time. Professor Wang from Qinghua University, was awarded “Intelligentsia Spokesman of the Year” in “China Forging Ahead Awards 2003”. In the special issue of “New Weekly” on April 1, 2005, Wang is on the list of social vanguard, confirming his vitality and superior standing in the field. Wang is an out-spoken, candid and sharp intellectual with unconventional ambitions. He always wants to show the audience a new level of clairvoyance with layman language. He advocates for better understanding of the East and West through the medium of TV. He loves to deliver his visionary commentaries to a wider audience. The programme starts from the diversity of Chinese culture and traverses its boundless space in search of more relevant cultural topics and activities. Host Wang visits various venues of cultural significance and offers insightful views in plain language for audience to enjoy the charm of culture. The programme spotlights on the week’s hottest cultural topics and interacts with the audience via Phoenix’s new media platform, vitalizing the time-honored tradition of cultural shows with the contemporary edge of omni-media. The world has been watching in amazement the emergence of China as a global economic and strategic power. 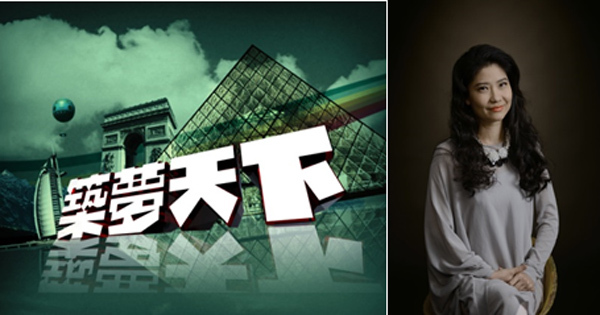 Emergent China has been running for over seven years on Chinese Channel, depicting major changes in China since 1949, especially after Deng Xiao Ping’s Reform and the Opening Up Policy. The achievement of modern China is by no means a facade. Emergent China, takes a look back at the history of the last century from 1911 when the establishment of the Republic of China put a stop to the dynastic rule of over 2000 years. The series takes on the daunting task to examine the tumultuous era before the Communist victory in 1949. The vivid narrative style, huge supply of rarely-seen footage and convincing presenter make the program riveting, inspiring and at the same time rewarding. Examine what this country has gone through is just the beginning to project the future, the more we grasp, the bigger we dare to dream. It is the right time to learn more about the true meaning of power players in the 21st century. Great architectural structures share similar qualities, they are what inspire us in this program, Architectural Wonders. Architecture has long been the products of human civilization blending functional, economical, technical and artistic dimensions of society. From simple residential cottage, impressive royal mansion to magnificent skyscraper, behind those bricks and steel structures, it is the historical and cultural designs that make them immortal. They mean so much more than simply shelters but art works that mark the footprints and prosperity of human civilization. Great architecture, like literature, always reflects the sentiment and vision of the designer and they are also the cultural expression of the time. Timeless architecture goes beyond the borders of nations, crosses the barricades of languages and cultures, showcasing the relentless endeavors and lasting accomplishments of different ethnic groups. Architectural Wonders takes audience on a field trip to visit various famous structures and examine their distinguished styles. A keen observer of the times, Phoenix keeps a close eye on the world’s hottest designs and hippest happenings. Leading global designers in various fields are invited to the program to showcase their cutting-edge works and illustrate how upscale designs and everyday life are connected. We also pay visits to their homes where we discover how decor can breathe life into a place and change our lives. The show closely follows top-notch design expositions at home and abroad, and delivers to audience the latest trends to hit the world. 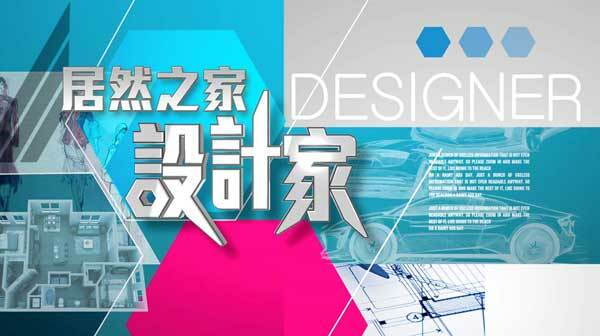 In this program, get ready to be dazzled by an array of designs covering modern architecture, industrial products, technological innovations, fine art, interior decoration and fashion.